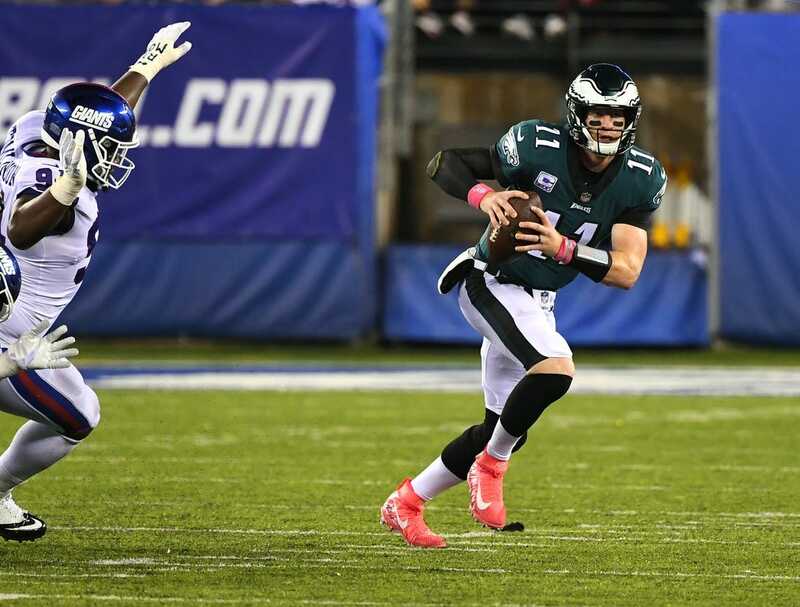 Quarterback Carson Wentz completed Thursday's practice without incident as the Philadelphia Eagles also welcomed back right tackle Lane Johnson. Wentz sat out practice on Wednesday with what the team described as muscle spasms in his back. The issue was expected to be a short-term concern. Johnson has been slowed by an ankle injury and was a game-time decision last week before he made the start against the New York Giants. Johnson is expected to be back in the starting lineup on Sunday, along with left tackle Jason Peters. Peters was hurt in the Week 6 win at New York but intends to play through torn biceps. Defensive tackle Haloti Ngata was limited Thursday with a calf injury and running back Darren Sproles remained out with a hamstring injury.